away from the internet, you're in luck you can do it buy just pressing a button. "clean up your internet presence". The service lets you see all of the websites you're signed up to or have accounts for and asks if you'd like to delete them or unsubscribe. It asks for your email address and password so it can scan for the sites you're signed up to. Dahlbo and Unnebäck said they take the privacy of users seriously and that the program runs on the user's computer, rather than their servers. "So basically the only thing you're telling us is what accounts you want to delete. That's it," they said. The website uses Google's security protocol, which means it doesn't gain access to users' log in information, they added. Deseat.me is fairly limited at the moment. It requires users to have a Google email address that is used for all of your online accounts. So for those ancient MySpace and Bebo accounts that you signed up for with a Hotmail address you'll need to go to the websites yourself and delete your account. It also hasn't managed to retrieve account deletion information from every service yet so some appear with a greyed out delete button. And it may never work for smaller sites. That said, it does already work with most major websites that users would be likely to have accounts with, such as Facebook , Twitter and Evernote. Step 4. 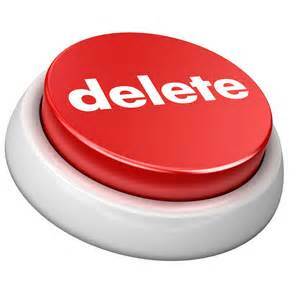 If you have more sites associated with other accounts that you'd like to delete, you will need to visit these individually and follow their instructions. Congratulation you are done deleting your self from the internet.